Well, the holiday that you’ve all been waiting for is (nearly) here: Valentine’s Day! While there is much discussion over the intense love and hate relationship with the holiday itself, this messy-haired girl has always been a fan of it. And while it’s a day that’s commercially deemed for lovers, it’s so much more than that. Valentine’s Day is a day to tell your sunshine you love them. It’s a day to tell your mama and/or your papa that you love them. It’s a day when you can send your best friend those earrings she’s been eyeing just because you love her! It’s a day when you (meaning me) can take the garbage out so your (meaning my) husband doesn’t have to. It’s a day that’s meant to celebrate love, no matter what and with no strings attached. This year, as luck would have it, Valentine’s Day is on a Friday. Which means that if you want to, you can basically celebrate it the whole weekend! And for those of you choosing to do so, I’ve rounded up some of my top Valentine’s Day (or Valentine’s Weekend) recommendations in Western Montana’s Glacier Country. 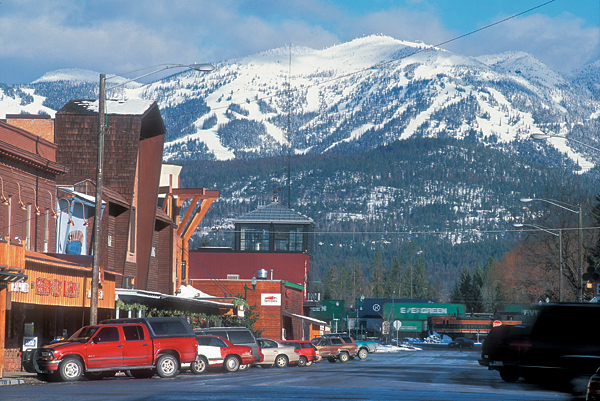 Let’s face it: Whitefish is one of the most romantic towns in the West. 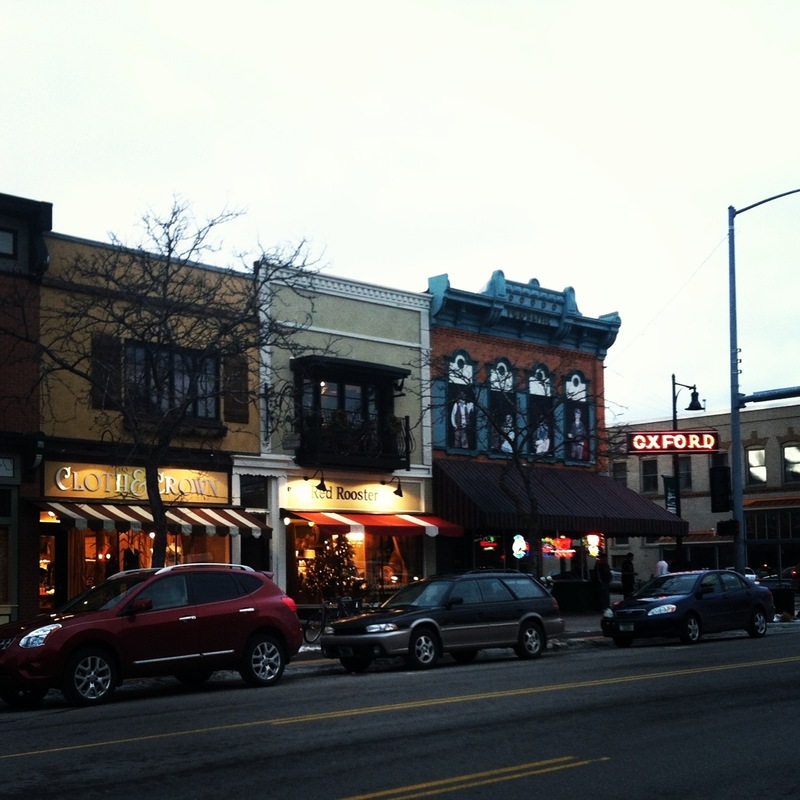 It has an absolutely charming downtown, wonderful restaurants and cozy accommodations. If you’re looking to “woo” someone, this is the place to do it. Plus, they have a lot of choices when it comes to romantic settings. This girl recommends dinner at The Boat Club at The Lodge at Whitefish Lake, Cafe Kandahar at Kandahar Lodge or Tupelo Grille in downtown. And as icing on your Valentine’s Day sugar cookie, check out the Romantic Rendezvous Package at The Lodge at Whitefish Lake and Montana Romance Package from Good Medicine Lodge. If I was a betting gal, I’d bet that your sugar hasn’t experienced winter in Glacier National Park. Valentine’s Day is the perfect time to to introduce him or her to this gorgeous place with an intimate weekend at the Belton Chalet in West Glacier. After a day of snowshoeing or cross-country skiing in the park, settle in for an cozy stay at the historic lodge as part of their Sweetheart Package, complete with dinner and champagne. 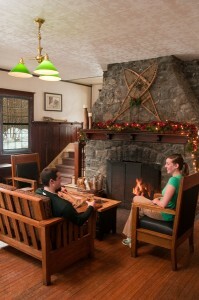 Fireside at West Glacier’s Belton Chalet. If you’re looking for a cozy cabin in the woods, check out Double Arrow Lodge in Seeley Lake. Double Arrow has a Valentine’s Package that features a special menu at on-site Season’s Restaurant, as well as champagne upon arrival. 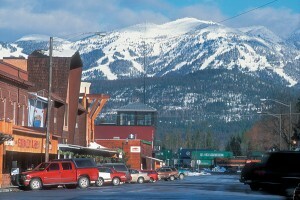 Plus, it also happens to be located in one of the most picture perfect settings in Montana. 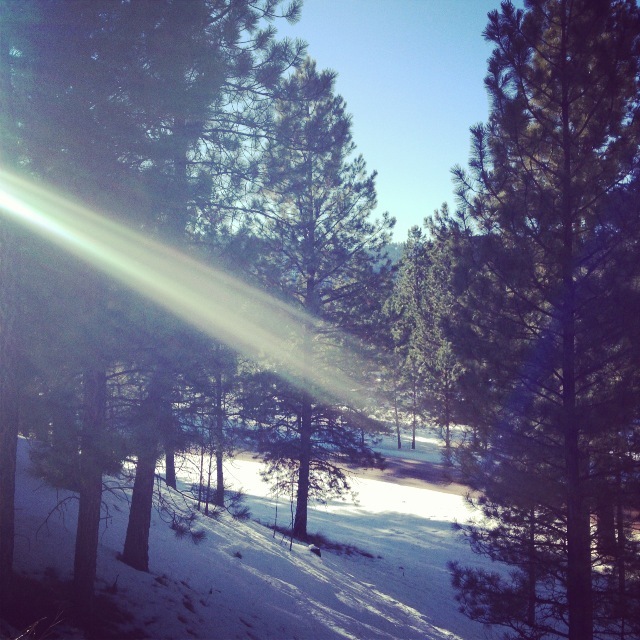 One of the snowy sun-kissed views from Double Arrow Lodge. I may be partial to this city (since my husband is from here), but Missoula continues to woo me in terms of its dining options and idyllic romantic settings. If I was trying to charm the socks off someone, I’d take them to Missoula’s snow-dusted, historic and cute downtown, before catching live music or grabbing a bite to eat at Red Bird Wine Bar (try the champagne fondue), Biga Pizza (um, hello Flathead cherry pizza) or Plonk. Other personal favorites include Finn & Porter and Mustard Seed (try the chocolate mousse). And if you really want to impress your love, book a stay at The Gibson Mansion Bed and Breakfast, specifically with their Romance Package or by adding an in-room massage treatment to your stay. 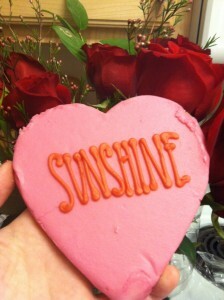 No matter where you are or who you love, may your Valentine’s Day be filled with love and kindheartedness. PS: You can find even more travel deals and coupons here. This entry was posted in Uncategorized and tagged Food, Glacier Country, Glacier National Park, Missoula, Montana, Seeley Valley+outdoor, West Glacier, Whitefish on February 4, 2014 by tiatroy.